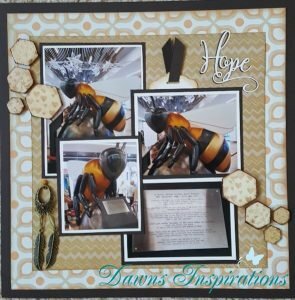 Here is my 12 x 12 Scrapbook Layout using my Dawn’s Inspirations Page Sketch #1. Fab idea, love the video too. Well done on such a handy inspirational tool.